1. In a large bowl, combine the chocolate and cereal until the cereal is completely coated. Transfer to a 23cm springform pan. Press the mixture into the bottom and 2.5cm up the sides of the pan. Freeze just until firm, 5 to 10 minutes. 2. 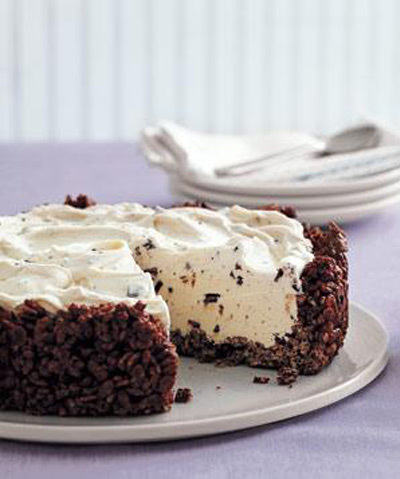 Spread the ice cream in the prepared crust and freeze, covered, until firm, for at least 2 hours and up to 3 days.